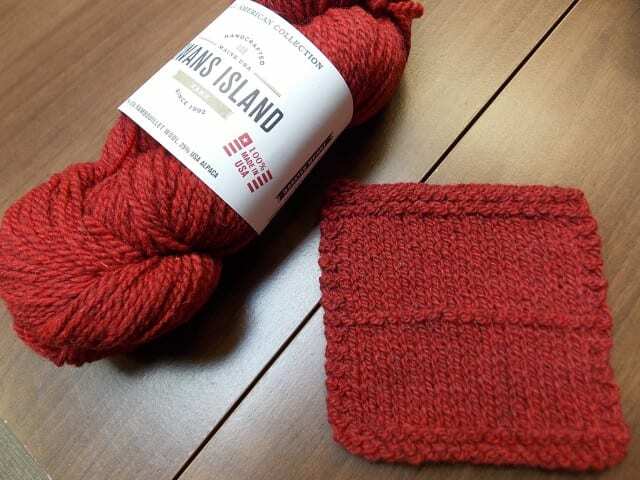 Hello, Swans Island All American Worsted. 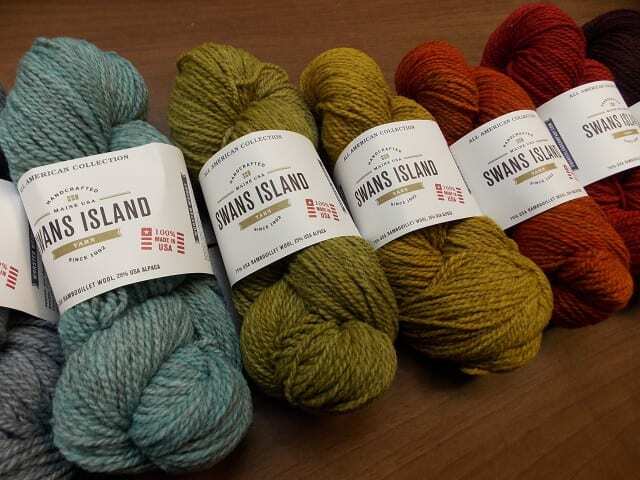 We’re delighted to announce that Swans Island’s newest yarn has arrived at the shop: meet All American Worsted! All American Worsted is a 2-ply woolen-spun blend of 75% Rambouillet wool and 25% alpaca. There are 210 yards on each 80 gram skein, every bit of which was grown, processed, spun, and dyed in the USA. 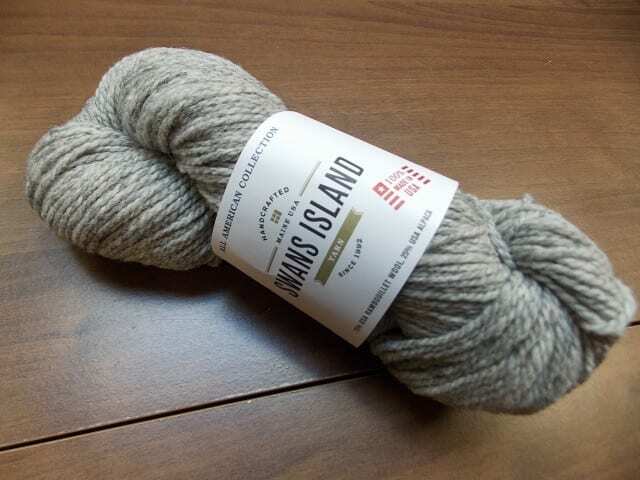 All the colors begin with this shade of gray, the natural color of the Rambouillet and alpaca blend. 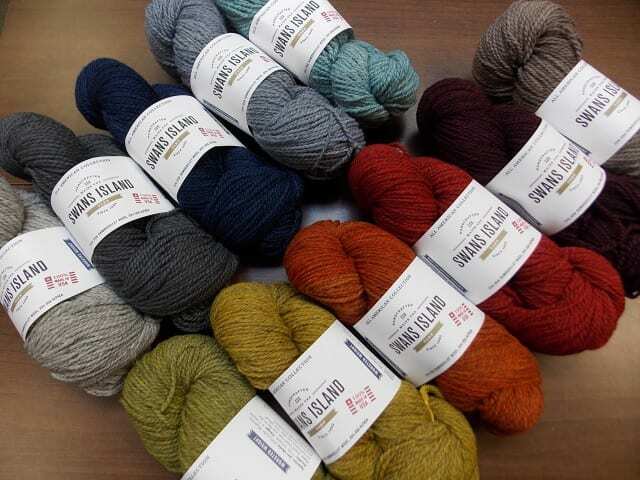 The gray skeins are then dyed with low impact acid dyes, giving each hue a rich heathered quality. “Woolen-spun” means that the yarn is spun from fiber that has been carded, but not combed. The carding process organizes the fibers to some degree, but they are not as smoothly aligned as combed fibers, giving woolen-spun yarns a rustic look. Woolen-spun yarns like All American Worsted are also quite lofty, making them more versatile in terms of gauge. 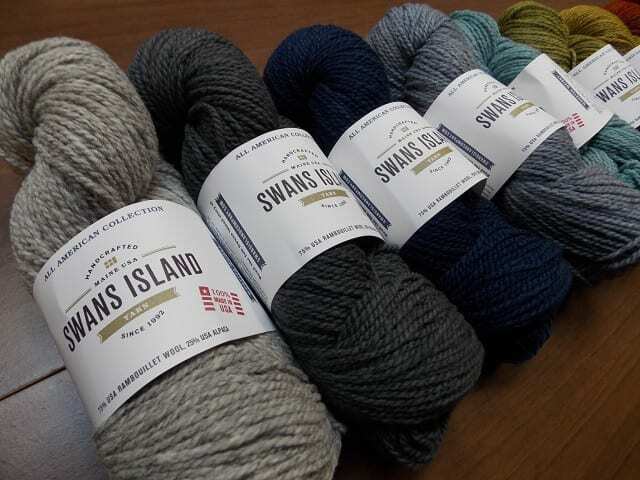 Swans Island suggests a gauge of 4.25 stitches per inch, which we’d consider aran weight, but All American Worsted is happy at a range of gauges. After washing, the fibers bloom to fill whatever space your needles have given them. The bottom section of the little swatch below was knit at 4.5 stitches per inch on a US #8; from there, I switched to a US #9, and the gauge is about 4 stitches per inch. 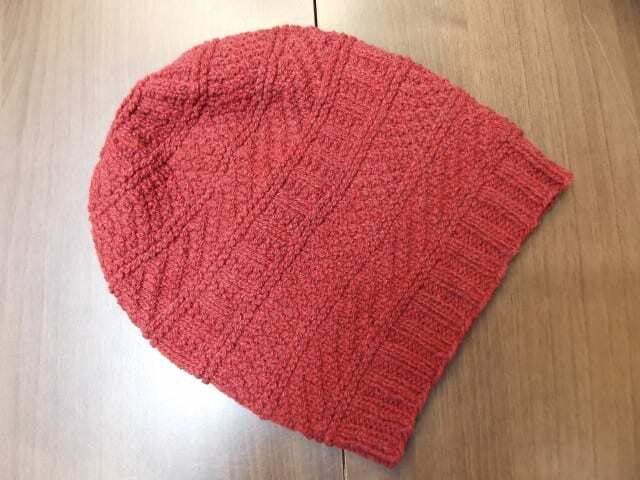 I knit Stephen West’s “Dustland Hat” at 5 stitches per inch on a US #7, and the fabric is sturdy but supple. All American Worsted renders these knit/purl texture patterns beautifully, and I don’t doubt that it will perform just as well in cables, lace, and colorwork. 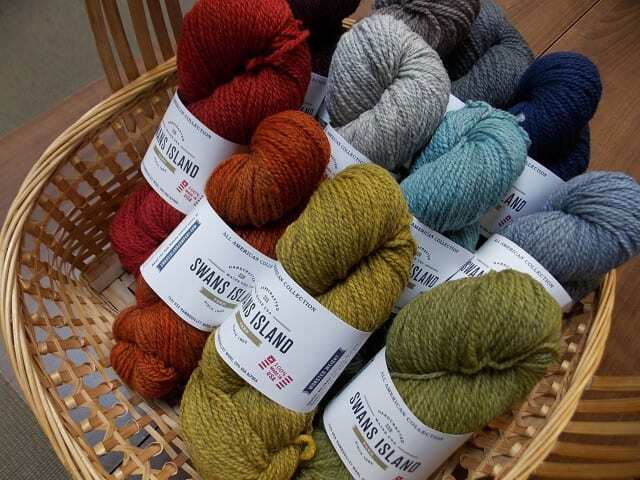 Come by the shop to meet this gorgeous yarn in person, and plan your next project! 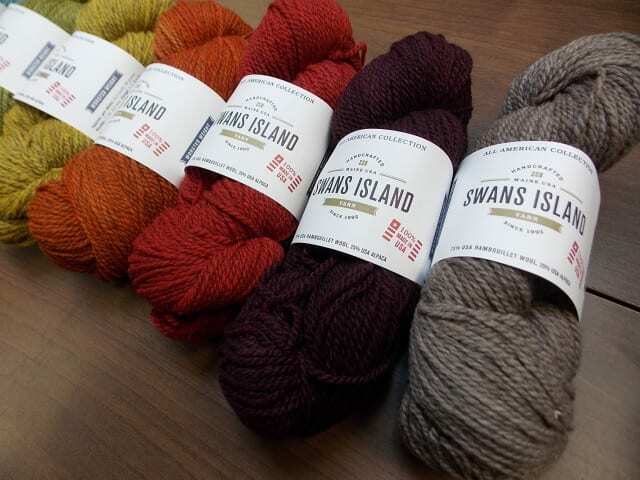 Look for Swans Island All American Worsted in the aran weight section, near the Swans Island Organic Merino Worsted. See you there!